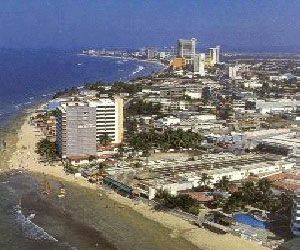 The Torres Mazatlan resort timeshare is located in Mazatlan, a port city commonly known as the "Pearl of the Pacific." 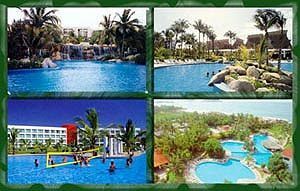 In front of the timeshare is a golden beach and the blue waters of the Pacific. The Sierra Madre Mountains are to the east of Mazatlan. Visitors looking to buy, sell or rent timeshare resales will enjoy the area's waters promise superb fishing, and a fleet of fishing boats offers charters year-round. Boating regattas and fishing tournaments are held frequently in the area. Hunters will find local guides ready and willing to lead expeditions in search of deer and wild boar. Sunday morning rodeos and wintertime bullfights give visitors a taste of Old Mexico. 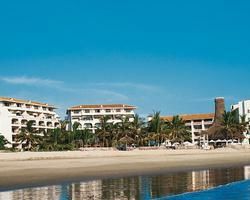 Vacation Internationale Torres Mazatlan timeshare consists of four buildings, A, B, C, and D, each of which contains 20 one-bedrooms and 10 two-bedroom condominiums. 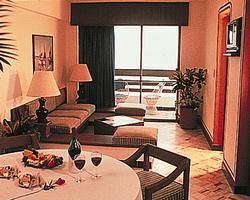 Buildings C and D also have three elegant four-bedroom penthouses on the sixth floor. Each 2-story penthouse has a private Jacuzzi. 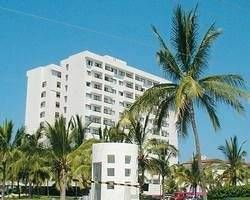 On-site amenities include a beach area, putting green, running track, shuffleboard, swimming pool, and kiddy pool, Jacuzzi, tennis, palapa bar, restaurant, grocery store, hairdresser, handicapped unit, lift/elevator and a full activities program. Modern conveniences include a complete water purification system, individually controlled air conditioning during summer months, fully appointed kitchens, and an on-property convenience store. Off-site, but nearby, are fishing, golf, horseback riding, live entertainment, auto rental, medical facilities, conference facilities, restaurants, shopping, and tourist activities. 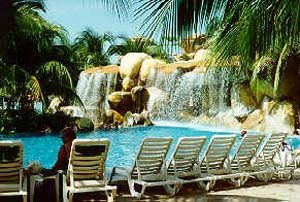 Contact Vacation Resorts Internationale Torres Mazatlan Specialist Today!